Question Help with Polar Chart. I am new C# and most of the time I find my answers to my C# problems through Google but unfortunately I couldn't find any related materiel for this problem. I hope someone can guide me in the right direction. Problem: I am building a small application (WinForms - Chart Control) which read data from text files and use the data to plot a polar chart. Generally, Polar chart X axis crossing is at 12'O clock position and I want the X axis to be at 6'O clock position. 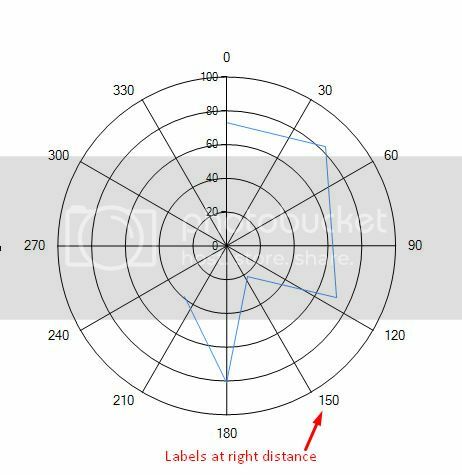 all X axis labels look file at 12'O clock position but as soon I use the axiscrossing property to 180 degrees, all the labels on one side start moving to the inside boundary of the polar plot. 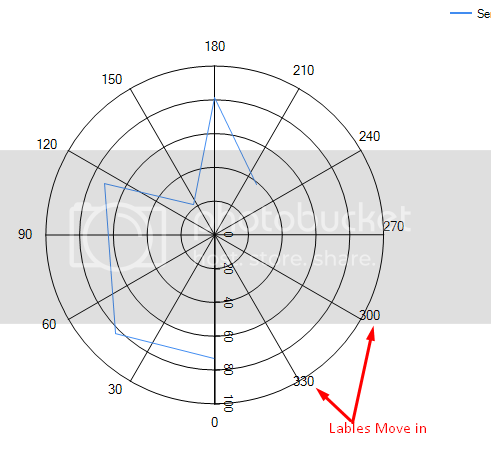 I've never used that type of chart but that seems like a bug in the control. I'd be reporting that to Microsoft. Thanks for the reply. is there any free controls you can recommend?